Last week, I happen to stumble across this post from one of my favorite blogs, Little Green Notebook. I love how casually Jenny presents her fabulously cool ideas. She makes it easy to live beautifully! Be sure to check out her whole post to see more pics! 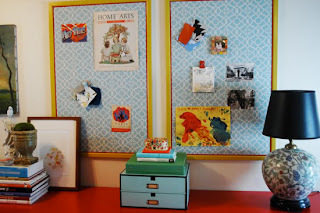 Once I saw this bulletin board, I knew it would be the perfect way for me to update mine. 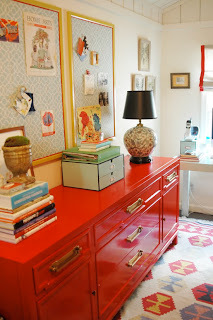 The fabric and colors would work perfectly in my office! 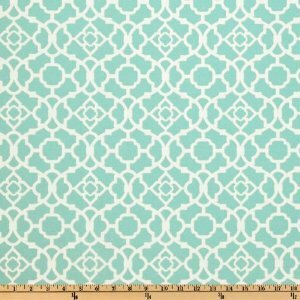 So I found the fabric on amazon and I'm anxiously awaiting it's arrival! I only need 1 yard, and it was less than $10! I'll be heading out to Jo Ann's to find some red or yellow trim. Can't wait to share the finished product with you! 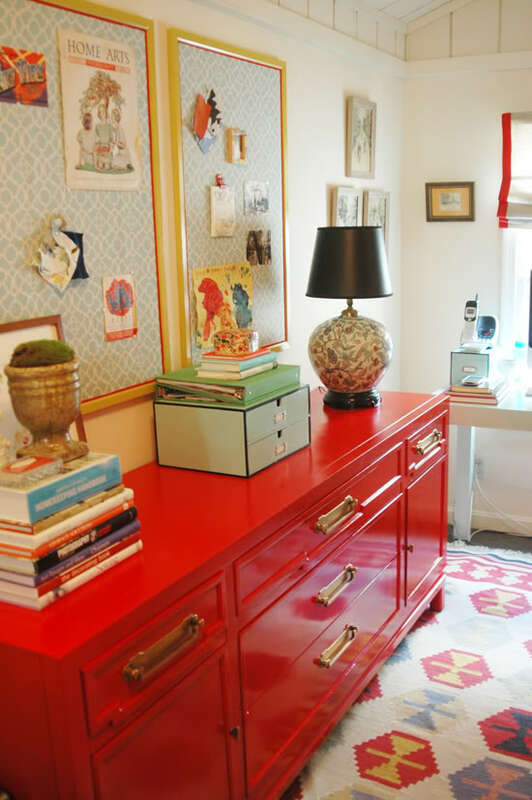 Isn't this a gorgeous workspace?! Come along with me as I share my passion for interior design, homekeeping, and parenting. Life is good. Life is short. So let's live it beautifully! The BIG 3 - 5!